Melanie Wade was born in Murray, UT, and moved to Las Vegas as a child. She started working in dermatology at a very young age and actually graduated high school one year early to become a Medical Assistant with a dermatology practice. 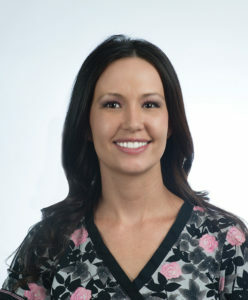 She came to work at Lakes Dermatology in 2008. Currently Melanie is in nursing school to expand her training further. Melanie is exceptionally well-trained and assists both physicians with surgeries, procedures, prescriptions, biopsies, and general patient care. She is familiar with all product lines offered by the offices and can assist you with your skincare needs, as well as any questions you have about procedures performed by the doctors or those at The Spa.